The aXes project is an international project, the main goal of which is to integrate artistic circles and facilitate the exchange of creative thoughts between various musical centres of Eastern, Central and Western Europe. 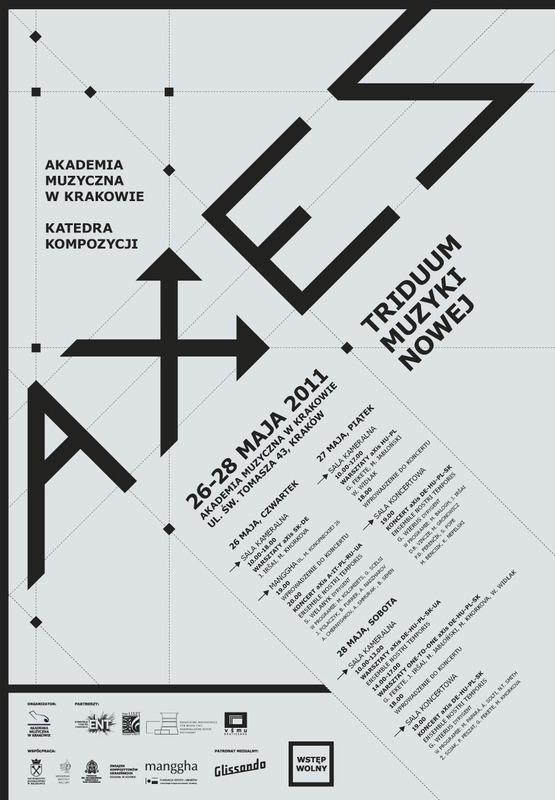 The entity responsible for organising aXes is the Academy of Music in Krakow, which has invited to participate in this event academic institutions from Budapest (Liszt Academy of Music), Bratislava (Academy of Performing Arts in Bratislava), and Stuttgart (University of Music and Performing Arts in Stuttgart), as well as a contemporary music ensemble from Kiev (Ensemble Nostri Temporis). 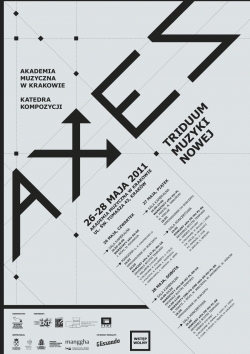 The name of the workshops – aXes, points to a meeting of composers and performers – the intersection of different traditions, cultural influences and artistic trends. Therefore, apart from Central-European countries (Poland, Slovakia and Hungary), the project will also be attended by partners from Western (Germany) and Eastern Europe (Ukraine). The mutual exchange of experiences and artistic outlooks will definitely influence the development of young artists-composers and inspire the academia; whereas the promotion of the newest music among wider audiences will affect the awareness of its recipients. In today’s reality, the music of young composers has little chance of being preformed, especially by professional musicians. Therefore, the confrontation of the composers with the performers will be of particular importance, based on the experience of the Ukrainian Ensemble Nostri Temporis in the newest music and innovative performing techniques – the ensemble has developed a unique programme of workshops for composers, presented, among others, in Darmstadt – the cradle of new music. Apart from the benefits mentioned above (for composers, performers and listeners alike) that will result from combining the artistic and the educational scope of the project, this confrontation may bring some added value that will remain an unknown “X” until the moment of the project implementation.